One of the most important steps that a person can take immediately following an accident or other type of personal injury situation involves filing an insurance claim. Not only does this give you the opportunity to get your perspective of the event down in writing in an official capacity (which will be hugely valuable later on if a court case is required), but it also allows you to receive compensation for things like physical rehabilitation, medical expenses, any lost wages that you experienced as a result of missing work, money to represent your pain and suffering and more. 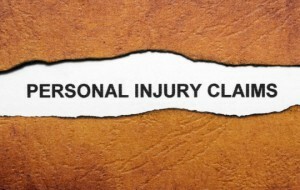 The personal injury claims process is something that always requires you to keep a few key things in mind. 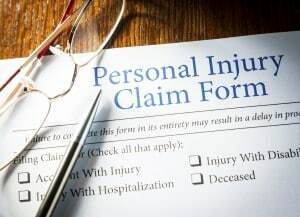 In order to properly understand the personal injury claims process, you must first understand more about the two different types of claims that one can file. These are first party claims and third party claims, respectively. A first party claim is one that you file with your own insurance provider relevant to the type of injury or event you've experienced. If you were in a car accident, for example, you would call your car insurance provider and file a claim to get the process started. A third party claim is one that you file against the insurance provider of another person or entity involved. If you were in a car accident and it was absolutely through no fault of your own, you would call the other driver's insurance company and file a third party claim. Generally speaking, the type of claim that you file will depend on who is at fault for the specific event you went through. One of the most important things to keep in mind about the personal injury claims process is that you are often required to file a claim within 24 hours of the incident having taken place. To continue to use a car accident as an example, you would have to call either your insurance company or the insurance company of the other driver within one day of the accident for the best results. During this claims process you will be asked to provide as much information as possible about the event. This can include but is not limited to things like the cause of the accident, the extent of your injuries, the extent of any associated damage and more. You may also be asked to provide any photos that you took of the accident scene (as is common in a car accident), any medical information that you received from a doctor during an examination and more. At this part of the process, the insurance company in question will likely begin their own investigation into the validity of your claim. They will likely interview any witnesses that you have provided, send an independent examiner to the scene of the accident to determine what went wrong and more. 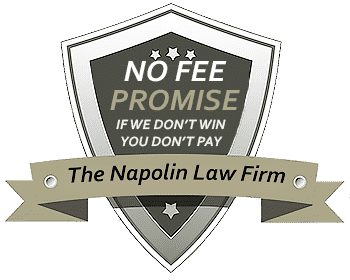 Based on their findings, they will either issue you a settlement check to cover the costs of any damages or medical expenses that you have accrued or will find that the party they represent was not at fault, at which point they will deny your claim. Regardless of your confidence with the situation that you've experienced, it's always a good idea to have your personal injury claim verified by an expert personal injury attorney. Not only can this give you an idea as to whether or not your claim is valid, but it's also an important step to take to help make sure that your rights are always protected. A personal injury attorney can also take the next logical step and represent you in a court of law should your case go forward to trial.